Spring and warmer weather will be on their way soon, heralding the start of Cape Town’s busy summer season. We know our visitors want to be fully informed in order to make the most of what we and the Mother City have to offer, so we’ve put together a comprehensive guide about how City Sightseeing’s tours and buses will operate over the peak season. Do our trading hours change during the festive season? Does our trading hours change during the festive season? The red bus runs every day of the year, and over peak festive season our Mini Peninsula Tour and City Tour to Table Mountain starts as early as 8am with final departures leaving as late as 7.30pm. Be sure to have a look at our detailed timetable prior to hopping on the bus for this information. Some routes might not operate on certain days throughout the year when roads are closed for big events. Also remember that you can hop on a red bus, but some attractions may not be open, for example on Christmas Day and New Year’s Day. Tourist hotspots stay open during the busy period, but some close early on Christmas Eve and/or New Year’s Eve. If you are planning to hop on the Constantia Wine Bus, please note that some wine estates close just before Christmas Eve and reopen on Boxing Day. Please note that the City Tour to Table Mountain and Downtown City Tour will not run on 2 January 2018. On 1 January 2018 there will be no service at stop 8 and stop 9 after 12pm. The Sunset Bus will not run from 23 December 2017 to 2 January 2017. 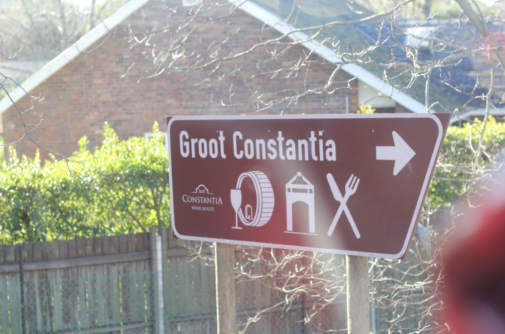 Enjoy a glass of wine on the Constantia Wine Bus. (Image: City Sightseeing) In the mood for a gentle maritime adventure? 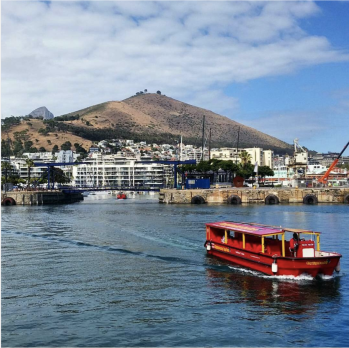 This season, beat the summer heat and board our Canal and Harbour cruise at the V&A Waterfront. This family-friendly adventure is a good way to keep the kids occupied while immersing yourself in the sights and sounds of harbour life. The 25-minute tour runs seven days a week. The V&A Waterfront is crowded during the festive season, so book ahead and plan to spend a full day there. If your plans include seeing more of the Western Cape’s natural habitat, book a Cape Explorer day tour. Choose a luxury live-guided coach trip to Cape Point or tour Stellenbosch and Franschhoek for the chance to sip award-winning wines, taste cheese and more. The Cape Explorer Cape Point Tour runs daily. 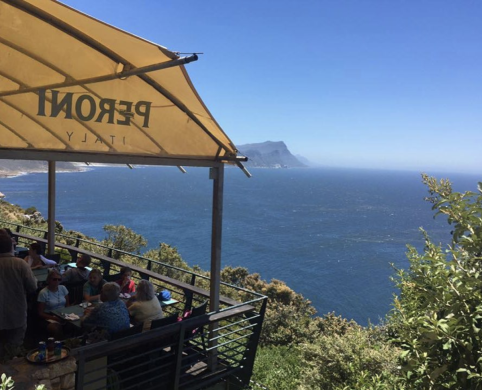 Book your table at the Two Oceans Restaurant well ahead, and be prepared to wait in line for the Flying Dutchman Funicular once the warmer season kicks in. Traffic in the area tends to be heavy during the festive season, so factor this in. The Cape Explorer Franschhoek and Stellenbosch Winelands Tour runs on Mondays, Wednesdays, Fridays and Saturdays all year around. The various wine estates around the area are open, but restaurants often fill up quickly in summer, so it’s ideal to book your lunch table beforehand to avoid disappointment. Please note that the Cape Explorer Cape Point and Winelands tours will not run on 26 December 2017 and 1 January 2018. The Cape Explorer Winelands tour will also not run on 25 December 2017. 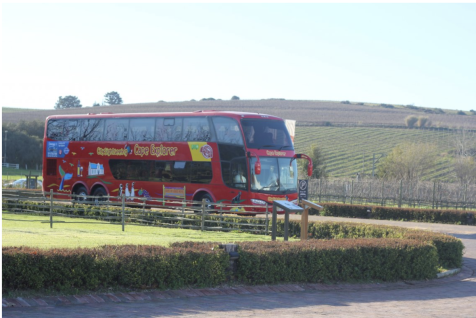 Hop on the Cape Explorer Franschhoek and Stellenbosch Winelands Tour! The best thing about the festive season? The city is bustling and the warmer weather makes it perfect for walks. Join the various daily free walking tours starting at the City Sightseeing tour office on 81 Long Street (stop 5). How to join the tours? Just look for the bright red umbrellas at stop 5!